This desirable gated community welcomes you into tranquility! Prime end unit backs up to a green area offering privacy from every window. Stylish open concept offers tons of natural light & all living on one level. Sip coffee on the patio & enjoy the breeze; or cozy up indoors by the fireplace. Ample storage space & 2 car tandem garage. In addition to the onsite clubhouse, fitness rm, 2 pools & hot tubs, owners belong to the Sunrise Master Assoc which has dog park, walking trails & sports court. Lot Size: 0.12 Acres / 5174 Sq. Ft.
SchoolsClick map icons below to view information for schools near 12511 172nd St E #KK201 Puyallup, WA 98374. Puyallup Real Estate at 12511 172nd St E #kk201 Puyallup, WA 98374. 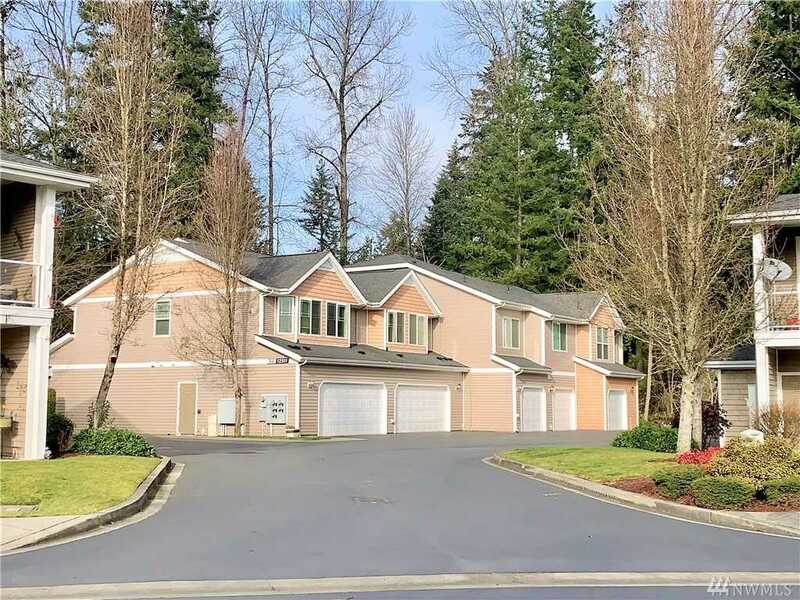 Description: The real estate listing at 12511 172nd St E #kk201 Puyallup, WA 98374 with the MLS# 1405915 has been on the Puyallup market for 70 days. This property located in the Sunrise subdivision is currently listed for $229,950. You are currently viewing the property details of the NWMLS listing at 12511 172nd St E #kk201 Puyallup, WA 98374, which features 2 bedrooms and 2 bathrooms, and has approximately 1125 sq.ft. of living area.